The creators of GandCrab ransomware do not sleep as the virus has been detected to infect users via what appears to be game and other software cracks, according to recent reports. The GandCrab ransowmare has been steadily updated with more and more improvements to it’s methods of infection and to the malware itself. The virus has passed several internal version and is now officially in its 4.4 version as researchers have recently detected. And the virus has had several features removed while others have been added to it, but most of them have remained the same, aside from the fact that the GandCrab 4 malware now uses the .exe files of cracks for games or licensed software to infect victims. 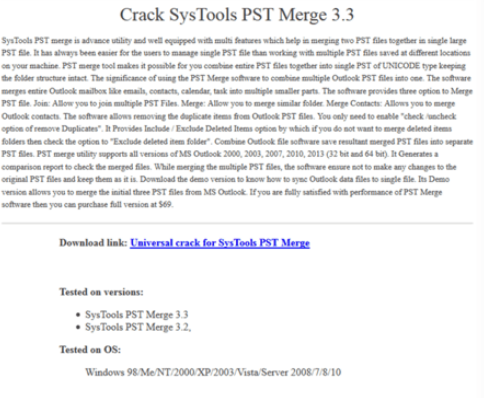 Researchers at Fortinet have even detected the pages to be well-written and well-structured with a detailed description of the program the user is looking a crack for with the main idea behind it being the fact that the user should trust the site In order to download and run the crack. The virus has undergone several changes here and there, like the wallpaper no longer being used and several of it’s features removed. The biggest change however was the way GandCrab encrypts the files on the compromised computers. The ransomware has chosen to use the Salsa20 encryption instead of the one it used so far, called RSA-2048. Unlike Salsa20, the RSA cipher has become mainstream for ransomware viruses and researchers believe that the main reason for switching to Salsa20 is that the encryption time is much faster than it would gradually be with RSA-2048, used with it’s previous versions. The Salsa20 encryption algorithm is also known In the cyber-security world as it was used in a virus that caused a major outbreak during 2017 – Petya Ransomware. The new version also uses a more advanced obfuscation as well, able to evade most traditional antivirus programs. The hackers are also very fast in managing their download URLs on the compromised WordPress sites as well, changing URLs often in order to continue the spreading of GandCrab 4. GandCrab 4 ransomware has been infecting users since late 2017 and the virus was one of the first htat demanded victims to pay hundreds of dollads in DASH cryptocurrency tokens. The malware is likely ran by a big hacking entity as it is not an easy virus to stop, since crooks often find different methods to bypass traditional security software, making GandCrab what appears to be the most impactful ransomware of 2018 so far. Threats such as GandCrab 4 may be persistent. They tend to re-appear if not fully deleted. A malware removal tool like Combo Cleaner will help you to remove malicious programs, saving you the time and the struggle of tracking down numerous malicious files. Threats such as GandCrab 4 may be persistent on your system. They tend to re-appear if not fully deleted. A malware removal tool like SpyHunter will help you to remove malicious programs, saving you the time and the struggle of tracking down numerous malicious files. Note! Your computer system may be affected by GandCrab 4 and other threats. SpyHunter is a powerful malware removal tool designed to help users with in-depth system security analysis, detection and removal of threats such as GandCrab 4. 1. Install SpyHunter to scan for GandCrab 4 and remove them. 2. Scan with SpyHunter, Detect and Remove GandCrab 4. Ransomware infections and GandCrab 4 aim to encrypt your files using an encryption algorithm which may be very difficult to decrypt. This is why we have suggested several alternative methods that may help you go around direct decryption and try to restore your files. Bear in mind that these methods may not be 100% effective but may also help you a little or a lot in different situations. Note! 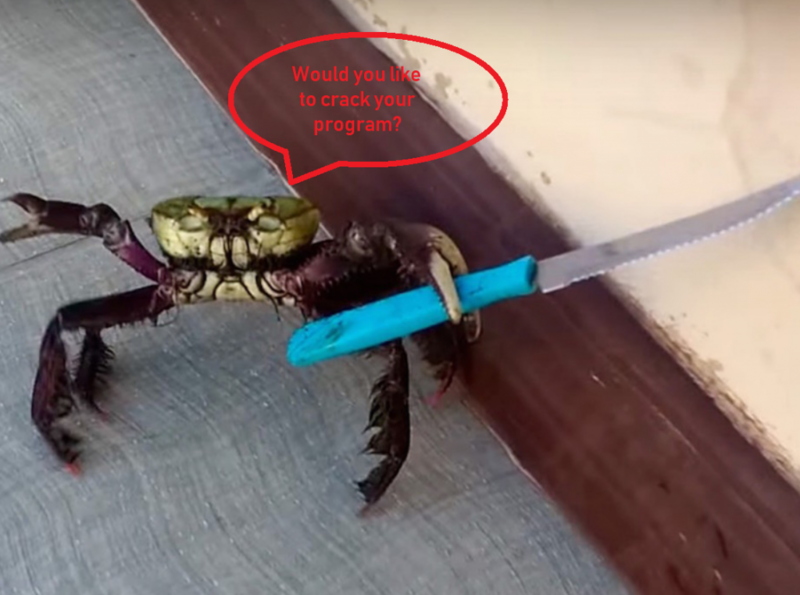 Your computer system may be affected by GandCrab 4 or other threats. Remove GandCrab 4 by cleaning your Browser and Registry. Fix registry entries created by GandCrab 4 on your PC. Combo Cleaner is a powerful malware removal tool designed to help users with in-depth system security analysis, detection and removal of threats such as GandCrab 4. Step 5: In the Applications menu, look for any suspicious app or an app with a name, similar or identical to GandCrab 4. If you find it, right-click on the app and select “Move to Trash”. Step 6: Select Accounts, after which click on the Login Items preference. Your Mac will then show you a list of items that start automatically when you log in. Look for any suspicious apps identical or similar to GandCrab 4. Check the app you want to stop from running automatically and then select on the Minus (“–“) icon to hide it. Remove GandCrab 4 – related extensions from your Mac’s browsers. A pop-up window will appear asking for confirmation to uninstall the extension. Select ‘Uninstall’ again, and the GandCrab 4 will be removed. When you are facing problems on your Mac as a result of unwanted scripts and programs such as GandCrab 4, the recommended way of eliminating the threat is by using an anti-malware program. Combo Cleaner offers advanced security features along with other modules that will improve your Mac’s security and protect it in the future. Hey !, I found this information for you: "GandCrab 4 Ransomware Now Infects Via Software Cracks". Here is the website link: https://sensorstechforum.com/gandcrab-4-ransomware-now-infects-via-cracks/. Thank you.